Gameglobe now in Open Beta! So who ever hasnt heard yet, in june i moved to copenhagen to start working at square enix’s game studio hapti.co, specifically on the gameglobe project which has now been released into open beta! 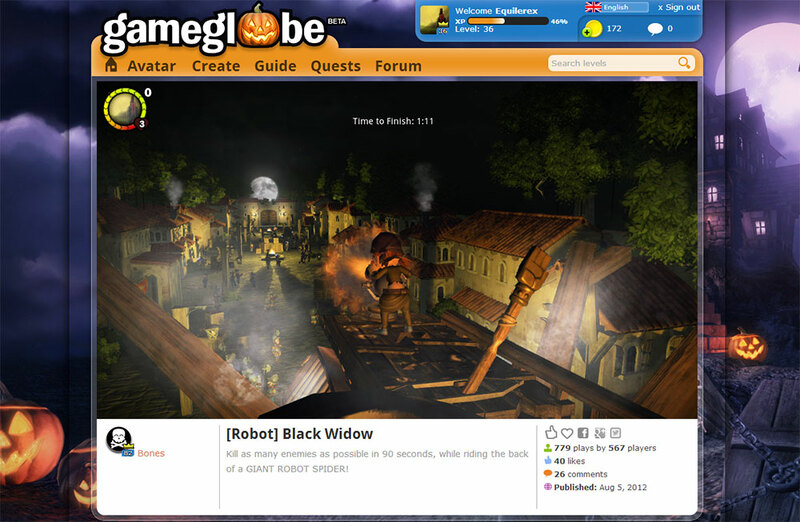 So that means that you can just head down to the website – gameglobe.com, pick a level and just play! (or if you want a pretty avatar and to play around with the level editor, you can even register ;) it runs in your browser, just needs a quick 5 second browser plugin install and you’re ready to go!